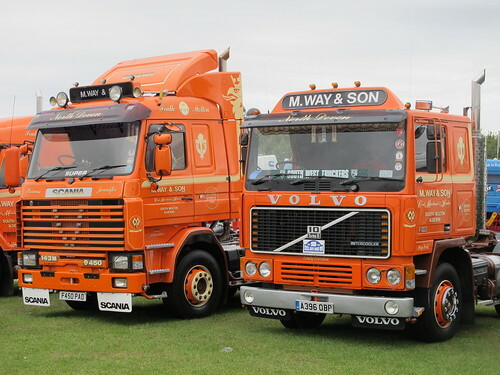 I’d not been before, so it took very little persuation for the wife to spend the weekend with her favourite aunt and the kiddie winkles and I got to spend the sunday 10 miles down the road at the Retro Truck Show at the Heritage Motor museum in Gaydon. What a thoughtful husband I am. 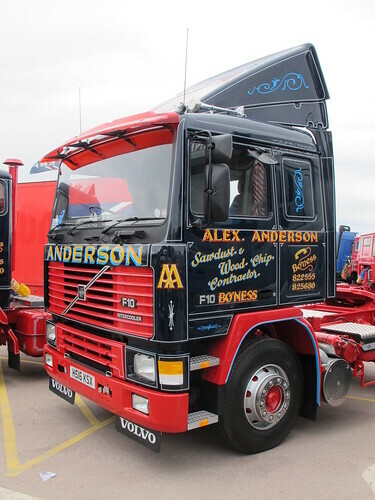 The criteria for the show is that all entries must be no newer than the year 2000 (except for a few stunners, like Parkers new Volvo, a couple of Coles & Sons and a delightful Scania from Shaun Burton). Being born in 1979 all my childhood dream trucks were from the 80’s and 90’s so the turn out was just perfect. 1, 2 and 3 series Scania’s obviously, Volvo F’s and a good smattering of good old Brits! 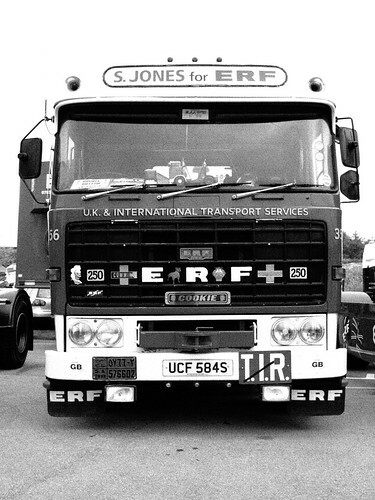 Now for all you non-British people when it comes to British trucks you either love ERF’s or you hate ERF’s. 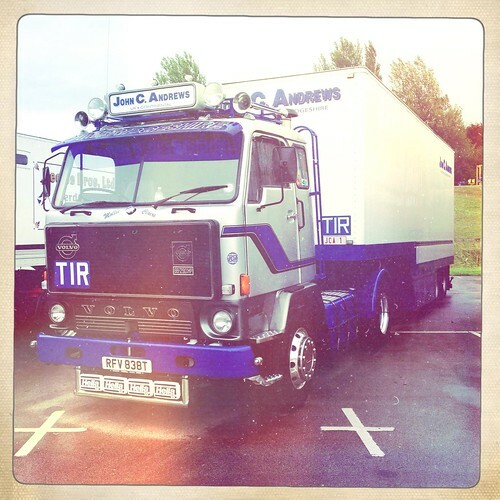 I have to say that I have always had a soft spot for an ERF as I did grow up driving them at my Dad’s work and much like a first girlfriend you tend to always rather like them! 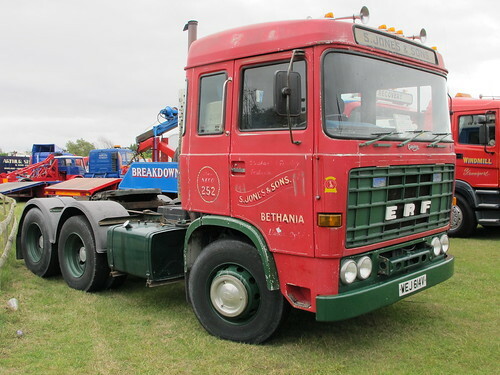 There was an ERF club present, so if you like ERF’s then read on and enjoy the pics, if you hate them then please close your eyes and proceed to the next bit. 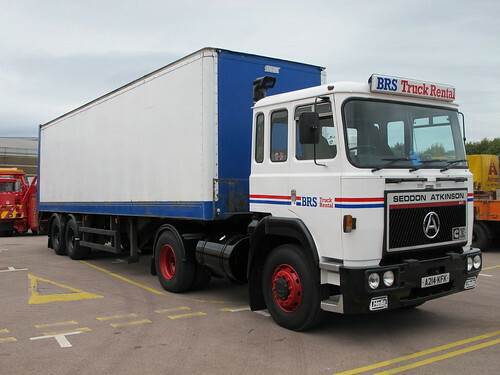 And as for the Seddon Atkinsons (the 1st truck I ever truly drove on my own) this Strato was as retro as it gets and summed up the show. If its retro and its your pride and joy bring it along! 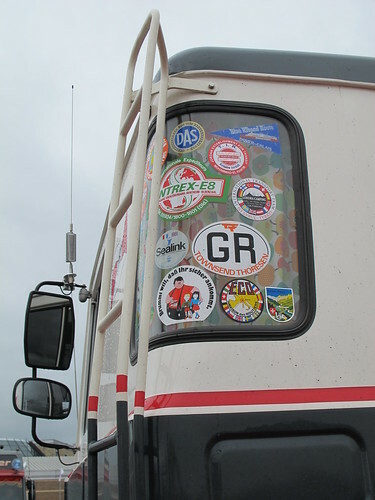 There were a few trucks from across the channel including these 2 Germans. I can’t tell you who’s they are as I have no idea! But they were so well detailed for a life on the roads to the Middle East. 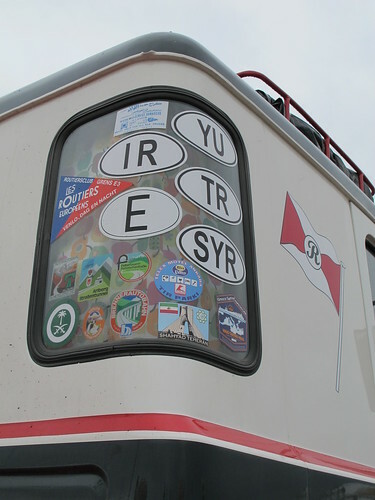 Including the palm leaves on the grill, to the stickers, the Arabic writing and, and the big chunky desert friendly tyres. They really were bang on. I guess it was helped by the fact they hadn’t been washed and polished so they were just road dirty. Congratulations to the owner/owners for making them so authentic. In the Volvo corner I had to get a photo of Bob Carmichaels still working, 1973 Volvo F88. Yes that’s right she has been working for 40 years!! 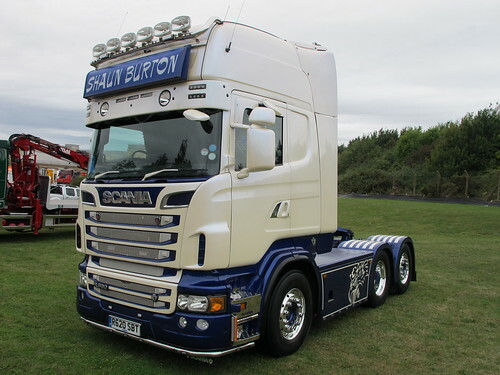 I know I always put Scania stuff on here but I do like a Volvo and I especially like a Scottish Volvo as the Tartan paint jobs and tradition liveries always seemed to suit the square cab of an F10 or F12. The perfect example being Alex Andersons F10. Very tidy. 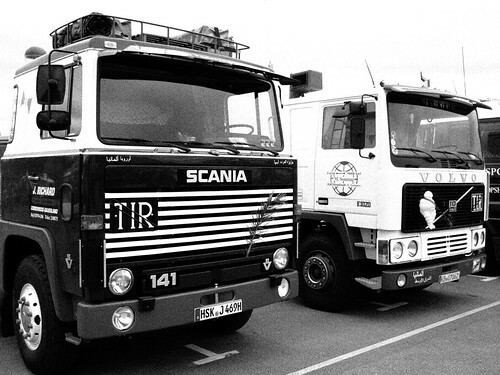 It made for a nice line up actually, Andersons F89, F10 and brand new FH. Quite a difference between the F89 and the new FH I can tell you. No that last photo wasn’t taken 30 years ago on the road to Saudi. 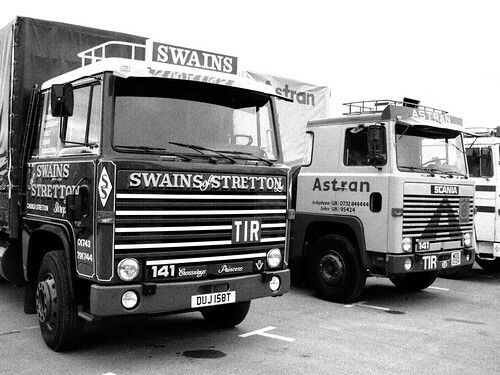 I was pleased to see Swains wagon and drag their as I hadn’t seen it in the flesh. A real classic euro set up, with the drag trailer, snow chains and a big power engine to help climb those mountains. 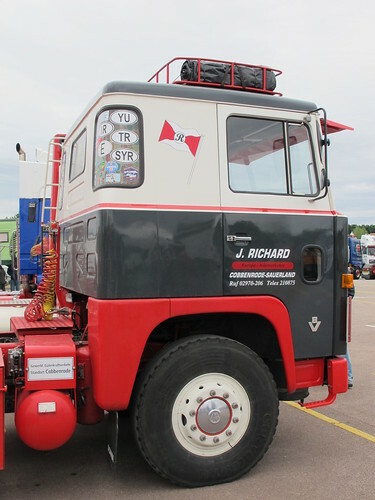 All in all for the 350ish trucks that were on display the show is well worth a visit next year. I certainly hope to go again. 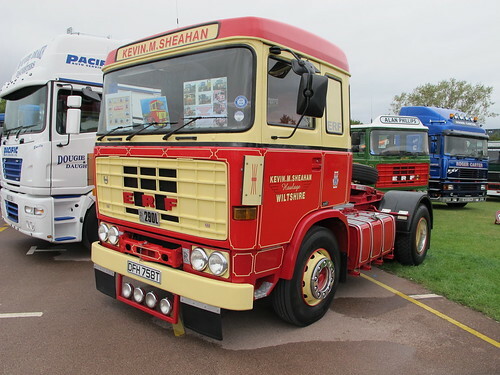 I think it’s easy to forget how popular and common these trucks were and it was really good to see plenty of them being restored to their former glory. 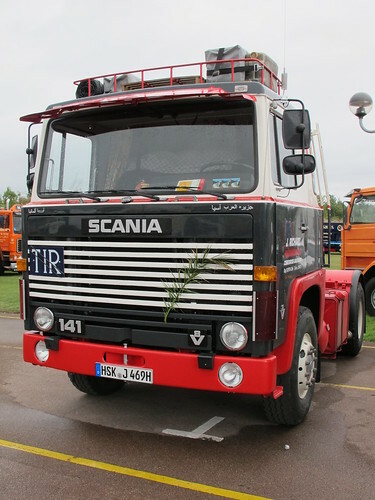 Long may the mass restoration continue, I just hope there is a 3 series Scania Streamline tag axle for me when I can finally afford to buy another big boys toy. 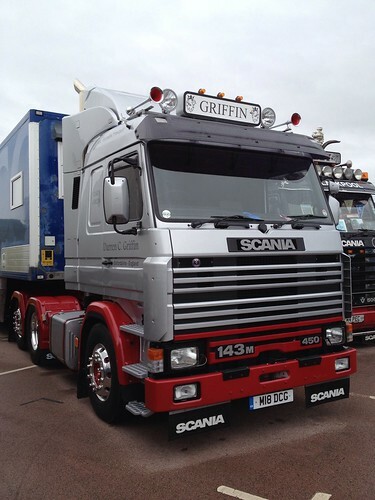 Saying that I wouldn’t mind a flat front 143 if it was anything like Darren Griffins mighty fine example. For me this was best in show (closely followed by John Andrews F88). So simple but oh so smart. To see all my photos from Gaydon, please click HERE. 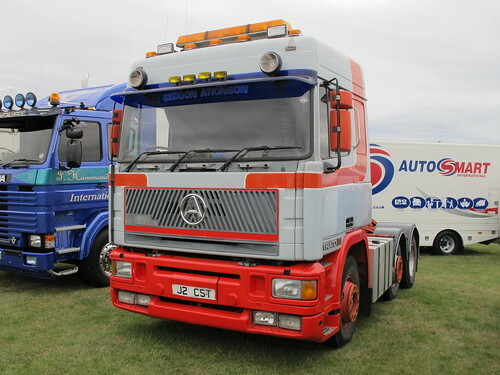 This entry was posted in Golden Oldies, Photos, Show News by truckbloguk. Bookmark the permalink.